From all of us at deVine’s to you and yours, we wish you a very Happy New Year in 2016 with all the best for happiness, good health and prosperity. May good fortune and luck follow you wherever you go and in all that you do for the coming year, 2016. We also make gift baskets, give us your budget, a bit of notice and we can have everything ready for you in short order. Remember too you can always shop online too! Save the date – December 17th is Customer Appreciation Day! Every year, deVine Wines and our neighbors on 104th-St. get together to say a collective “Thank You!” for your ongoing support. This year, Customer Appreciation Day will be held on Thursday, December 17, 2015.
deVine Wines will be offering our customers a 10% discount on all in stock regular priced wines and spirits. The sale will run all day, starting at 10:00 AM until we close at 9:00 PM. The sale excludes beer, coolers and ciders as well as wines stored in our vintage keeper or vintage room. No other discounts apply and no rain checks. These specially discounted products will go on sale beginning on Monday, Dec 14 until supplies run out. No other discounts apply on these specials. deVine Wines & Spirits, participating 104th-St. merchants and condominium residents plan to extend a helping hand to those less fortunate on Dec 17. We are collecting winter wear on behalf of the Edmonton Emergency Relief Services Society through our community “Share the Warmth” clothing drive. If you have any new or clean second hand coats, sweaters, hats, toques, mittens, gloves or socks, please drop them off at deVine Wines. To learn more about our neighbor and charity of choice, please visit the Edmonton Emergency Relief Services Society on their Facebook page at https://goo.gl/38ZfLQ... Please also visit their website at http://www.eerss.org. A collection bin will be available at deVine Wines to drop off your winter wear donations very shortly. Other collections bins will be placed in condo lobbies and select stores. On Dec 17, a bin will also be set up in the pocket park located between the alleyway behind Sobeys and the Icon I Tower between 5 pm and 8 pm. The Edmonton Emergency Relief Services Society will redistribute all donated items to those in need. On Dec 17, customers can enjoy free tastings between 3:00 PM and 7:00 PM while they shop. Great wines and premium spirits can be sampled while you browse. Customers will also have an opportunity to enter to win a free gift basket of wine when you visit us during the month of December. The draw will be made at the close of business on December 17, 2015. 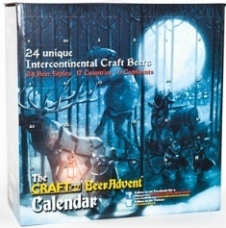 No purchase is necessary to enter the draw but you must be of legal drinking age. Once again many of the merchants on 104 Street will show their appreciation to their clients with specials and incentives. This will provide a great one-day opportunity for last-minute holiday shopping. Dozens of stores along the street will be open with treats, gift ideas, and everyday luxuries. Please follow this link to see what our neighbors are doing for their customers on Dec 17, 2015: http://4thstpromenade.ca/2015/11/customer-appreciation-day-2015. Outdoors among the wonderland of lighted trees, choirs will be performing seasonal favorites and hot chocolate will be served around a fire in the pocket park. The museums at both ends of 104 Street will be open and Santa will make an appearance. Street activities will take place from 5pm to 8 pm on 104th Street downtown from 99 Avenue to 104 Avenue. Additional activities such as an outdoor Treasure Hunt are being planned for the young ones. 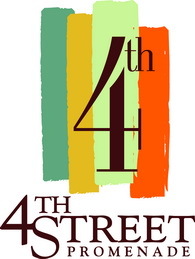 For more information, please visit the street community website at http://4thstpromenade.ca/ or the website of your favorite 4th Street merchant.